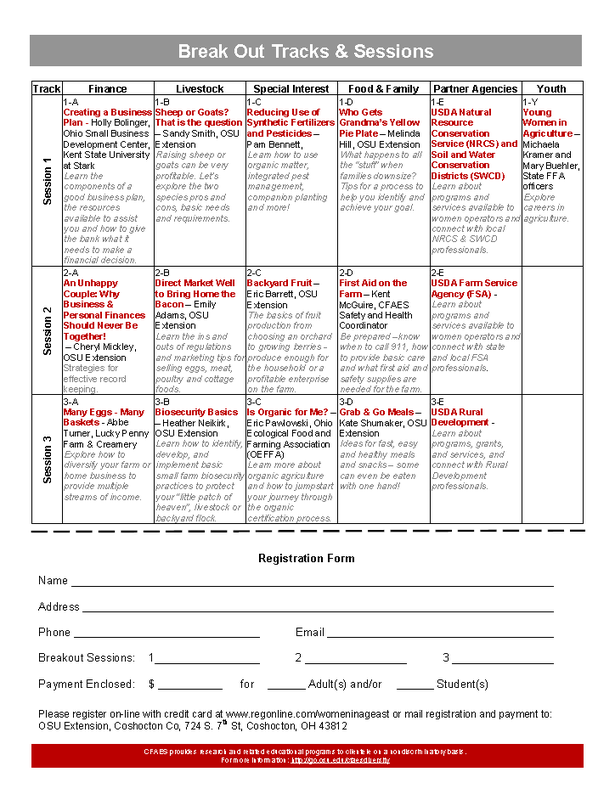 It’s not too late to register! 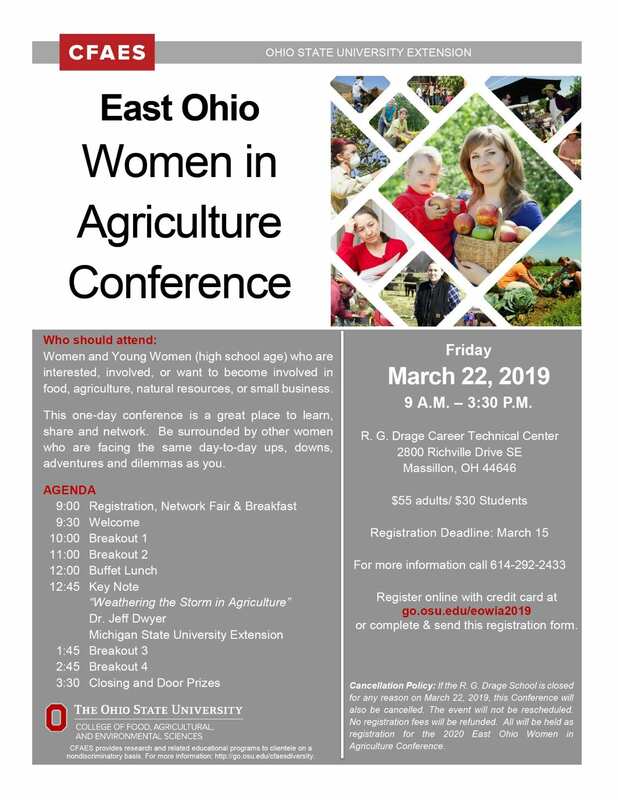 Registration will remain open for the 2019 East Ohio Women in Agriculture Conference until tomorrow, Monday, March 18 at noon. This year’s conference will be this Friday, March 22 from 9:00 am – 3:45 pm. This year the event will be held at R. G. Drage Career Technical Center, 2800 Richville Drive SE, Massillon, OH 44646. We can’t wait to see you Friday! It’s time! 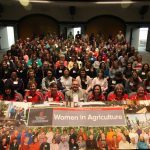 Registration is now open for the 2019 East Ohio Women in Agriculture Conference. 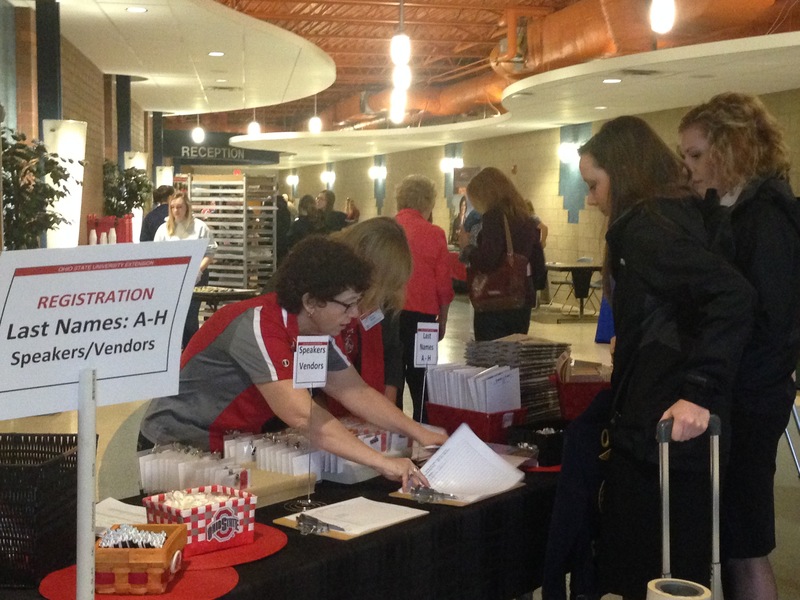 This year’s conference will be Friday, March 22 from 9:00 am – 3:45 pm. This year the event will be held at R. G. Drage Career Technical Center, 2800 Richville Drive SE, Massillon, OH 44646. 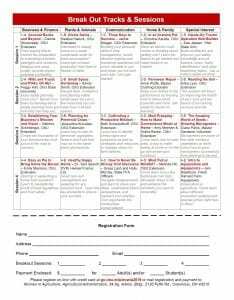 Are you looking to take more control of your life? 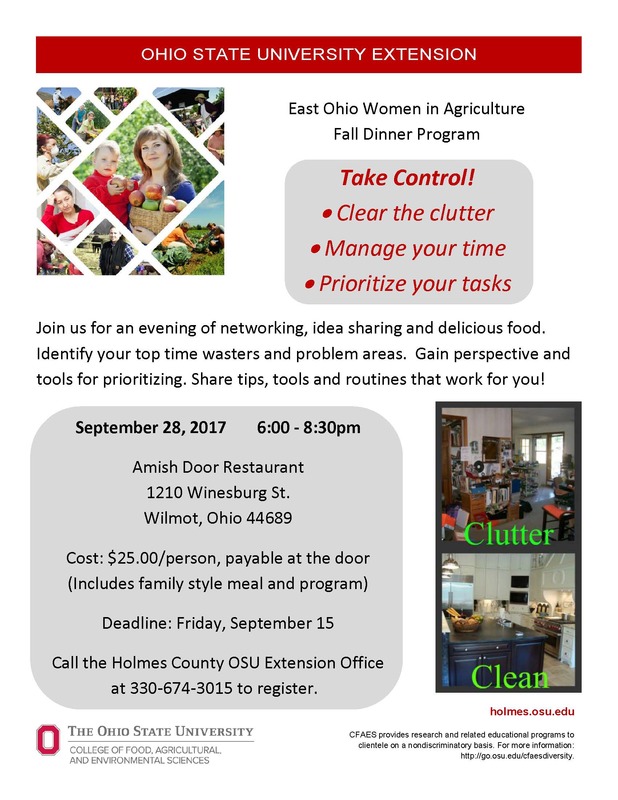 In order to keep our East Ohio Women in Agriculture community more connected between conferences, you are invited to join us for one of three Women in Agriculture Fall Dinner Programs. The first will be September 28, 2017 in Wilmot, OH. Join us for an evening of networking, idea sharing and delicious food. 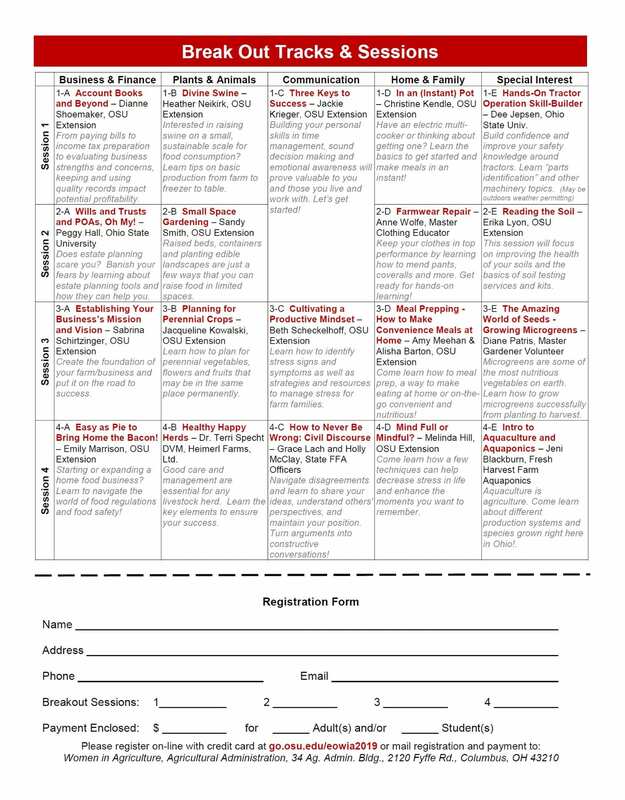 During the “Take Control!” program you will identify your top time wasters and problem areas. Then we’ll all gain perspective and tools for prioritizing. More details to follow on the other locations and times in October (Carroll/Harrison Counties area) and November (Coshocton/Tuscarawas Counties area). The “Take Control” program will be the same at all three dinners. 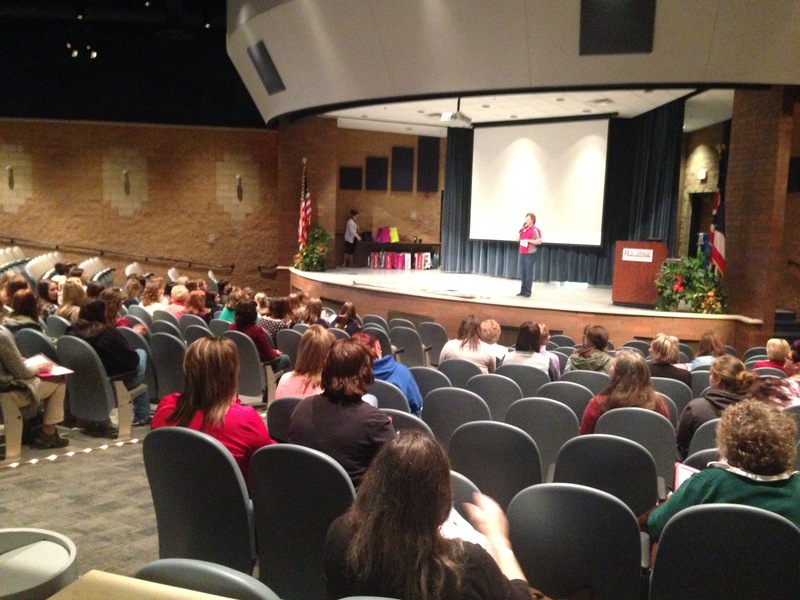 We are excited to have over 75 women registered to attend this year’s conference. 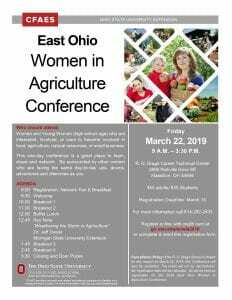 Here is the program to preview: 2017 East OH Women in Ag Conference Program Participants will receive a printed copy at the registration table as you arrive on Friday morning. This year’s conference will be Friday, March 24 from 9:00 am-3:45 pm. The event will be held at R. G. Drage Career Technical Center, 2800 Richville Drive SE, Massillon, OH 44646. It’s not too late! 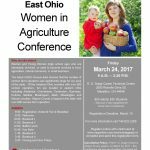 We are extending the registration deadline for the 2017 East Ohio Women in Agriculture Conference until next Friday, March 17. Please tell anyone that you think would enjoy a day of fun, learning and networking. 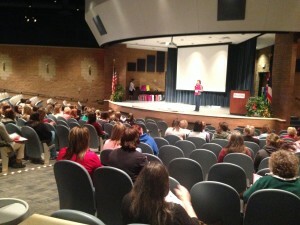 This year’s conference will be Friday, March 24 from 9:00 am – 3:45 pm. The event will be held at R. G. Drage Career Technical Center, 2800 Richville Drive SE, Massillon, OH 44646. 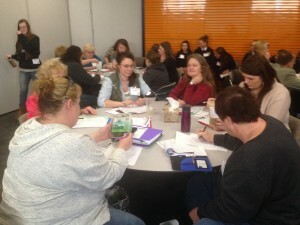 This year’s program will feature 18 break-out sessions presented by OSU Extension educators, farmers, and partner agencies including: Business & Finance; Plants & Animals; Communication; Home & Family; Special Interest (energy, beekeeping and farmland preservation); and one youth session. Our keynote speaker for this year will be Marlene Eick of Herdmark Media. 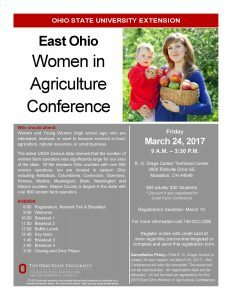 It is once again our pleasure to announce that registration is open for the 2017 East Ohio Women in Agriculture Conference. 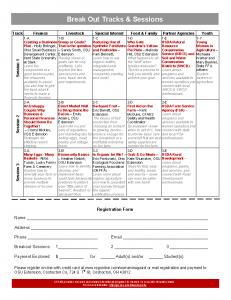 This year’s conference will be Friday, March 24 from 9:00 am – 3:45 pm. This year the event will be held at R. G. Drage Career Technical Center, 2800 Richville Drive SE, Massillon, OH 44646. 2017 Conference date is set- hope to see you March 24! 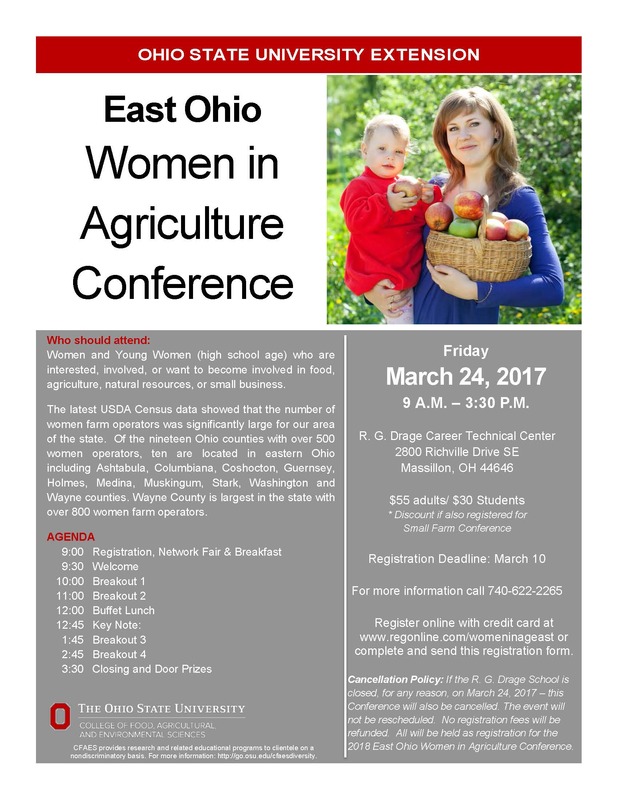 Mark your calendar now for Friday, March 24, 2017 for the Fourth Annual East Ohio Women in Agriculture Conference. This year’s conference location will again be the R.G. Drage Career Technical Center in Massillon, OH. Program tracks will include plants & animals, finance & business, home & family, communication, and special interest. There will also be one youth session. This year’s program will feature 4 breakout sessions throughout the day. And we are pleased that Marlene Eick from Herdmark Media will be our keynote speaker! Look for more details in the weeks to come… We hope to see you March 24! 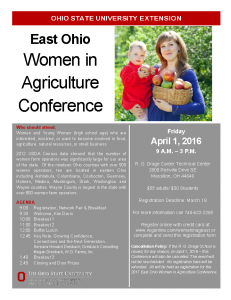 It is our great pleasure to announce that registration is open for the 2016 East Ohio Women in Agriculture Conference. This year’s conference will be Friday, April 1 from 9:00 am – 3:00 pm. This year the event will be held in a new location: R. G. Drage Career Technical Center, 2800 Richville Drive SE, Massillon, OH 44646. This year’s program will feature 16 break-out sessions presented by OSU Extension educators, farmers, and partner agencies including: Finance, Livestock, Special Interest, Food & Family, Partner Agencies and one youth session. Kim Davis will deliver this year’s conference welcome and keynote speakers Sereana Howard Dresbach and Megan Dresbach will address “Growing Confidence, Connections and the Next Generation”. 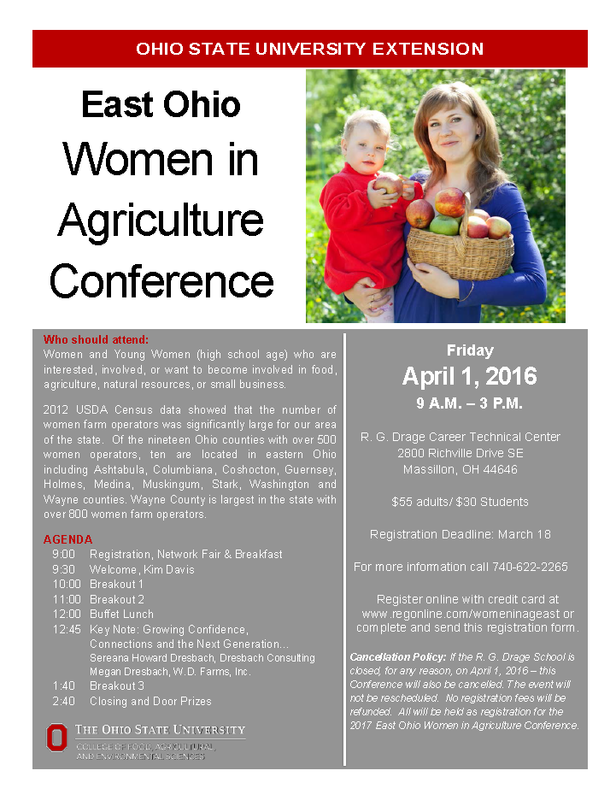 Mark your calendar now for April 1, 2016 for the Third Annual East Ohio Women in Agriculture Conference. This year’s conference location will be the R.G. Drage Career Technical Center in Massillon, OH. 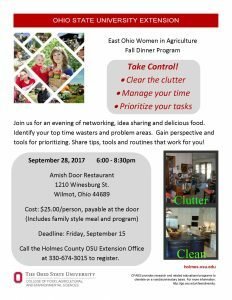 Program tracks will include livestock, financial, partner agencies, food & family, special interest and there will be one youth session. Look for more details in a few weeks. We hope to see you there!